Congregation of the Catskills (UUCC)! Our mission is diversity, community, growth, and action. Our members and friends identify with a wide variety of theologies and spiritual practices, including Christian, Jewish, Buddhist, Pagan, Humanist, Atheist, Agnostic, and others. We welcome all people of goodwill, from any age, race, nationality, sexual orientation, class, ability, or any other measure of human diversity. 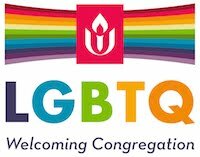 The UUCC is a Welcoming Congregation! Services are Sundays at 10:30 am. Religious Exploration at 10:30 am; supervised play in the summer. Childcare available. April 21: Like a Phoenix From the Fire - Rev. Erica Baron Stories of transformation and resurrection in the face of dissolution and collapse. April 28: Outside the Ropes - Join us for a morning of beauty, meaning, and humor as Nancy Beard, Mary Stevens, and Annie LaBarge read us their poetry.